There are certain products you should never go cheap on since they have the potential of improving the quality of life. One such example is a mattress. You don’t want to get a bad quality one since you spend one third of your lifetime sleeping. Another important one is your toilet seat. I value the time I spend on the toilet. I regretted the time where I bought a cheap replacement for my worn out toilet seat. Since my toilet is very close to my front door when it gets cold, it gets cold. The worst thing is getting a cold shock from your seat when you need to do a number two. Luckily there are some toilet seat manufacturers that feel the same. 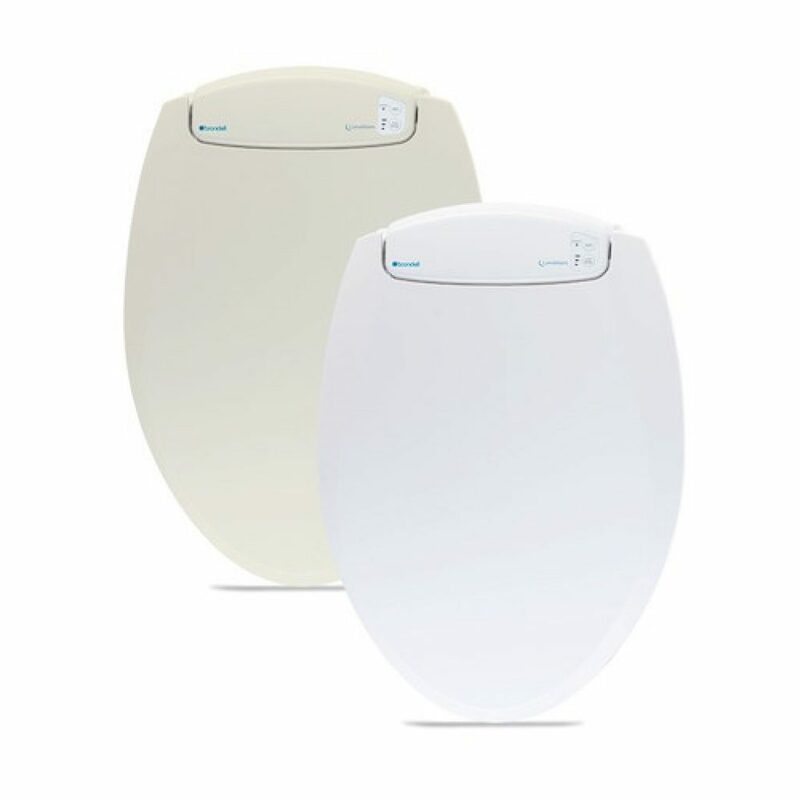 Brondell’s LumaWarm Heated Nightlight Toiletseat is the crop of the cream in (heated) toilet seating right now. This is no padded cushion toilet seat that gets all nasty and sticks to your bottom, this is actual comfortable heating coming from regular seating. The LumaWarm connects safely and isolated to your wall outlet (standard GFI wall outlet) and sports three heating modes heating up from 20° to 25° Celsius which is slightly above room temperature. Much better than the arctic temperatures of regular seats. Your behind will thank you for it. The seat has gentle closing and as an added bonus the LumaWarm has a friendly blue LED nightlight you can switch on with the touch of a button. That means you don’t have to go from pitch black to blinding ceiling light whenever you need to go out for a pee at night. The LumaWarm is available in a round model and elongated model. Refer to the size chart below to understand which one you need to buy. You can buy the LumaWarm on the Brondell website or Amazon (best deal).